For some, the allure of being able to swim year round is a strong one. Whether it’s for health, mobility or just pure pleasure, on the east coast, swimming 12 months a year means taking your pool indoors. But what are the considerations for an indoor pool? It’s true that this type of job is very different from an outdoor installation. Indoor pools are really two installations in one: the structure to house the pool and the pool area itself. Consulting a pool professional during the early stages is very important since the type of pool, its shape, materials, and the house’s existing architecture all play an important role in the overall design. Ventilation systems are vital when it comes to indoor pools. If proper ventilation is overlooked, a number of problems can arise such as poor air quality, mold, water damage, and more. 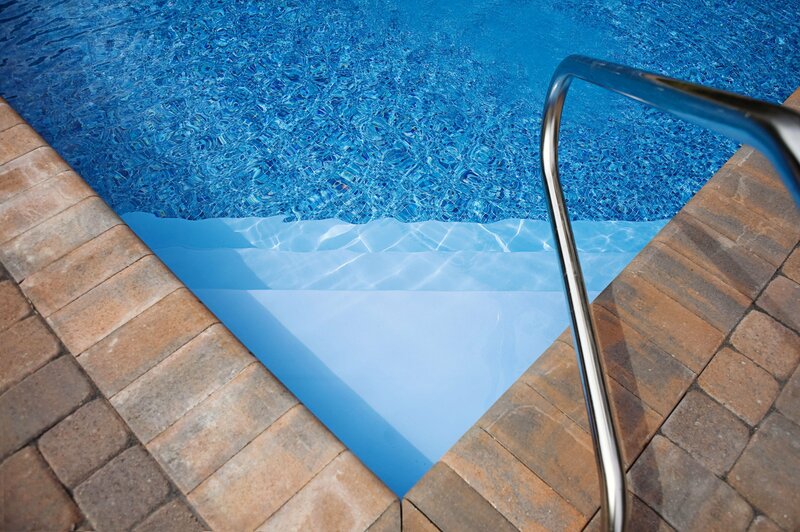 Your pool designer should be talking about factors such as HVAC considerations, insulation needs, vapor barriers, climate control, and the proper pool cover so make sure these things are just part of the conversation. Designing an equipment room with the right mechanics and adequate space for repairs is another vital consideration when it comes to an indoor pool build. There needs to be room to move around if something goes wrong and also, since the machinery is noisy and pool chemicals have a strong odor, proper insulation is also needed. Trust us – you don’t want to be kept awake at night by the constant hum of your pool pump or the stink of chlorine! We talked about outdoor pool lighting in a previous blog post and it is just as important to consider for an indoor pool. Lighting is necessary if you want to safely enjoy your pool in the evenings. Since overhead lighting is hard to access when a bulb burns out, other options are much more ideal. Fiber optics with remote illuminators are a great choice. Are you considering installing an indoor pool? Get in touch with one of our experts to talk about all the considerations above and more. Call us at 508-432-3445 or email info@shorelinepoolsinc.com.